A family of related medical conditions that sometimes develop when people travel to altitudes above 3500m (11,500ft) such as Mt Damavand in Iran, at times even lower. There is a wide variation in both the speed of onset, the severity of symptoms and also at the height at which they occur, this is different for each person. The problems are caused by lack of oxygen. Most people feel at least a little unwell if they drive, fly or travel by train from sea level to 3500m. Headache, fatigue, undue breathlessness on exertion, the sensation of the heart beating forcibly, loss of appetite, nausea, vomiting, dizziness, difficulty sleeping and irregular breathing during sleep are the common complaints. Visit Damavand AMS FAQ. These are symptoms of Acute Mountain Sickness (AMS), which usually develop during the first 36 hours at altitude and not immediately on arrival. Well over 50% of travellers develop some form of AMS at 3500m, but almost all do so if they ascend rapidly to 5000m (16,400ft). Usually, these unpleasant effects of lack of oxygen wear off over two to three days, particularly if no further ascent is made. Once the body has acclimatised in this way, further gradual height gain is possible although symptoms may recur at any time. Damavand Camp3 New Hut FAQ. The question "How high, how fast?" has no absolute answer because of individual variation, but it is reasonable for healthy people of any age to travel rapidly to 3500m, though many will develop some degree of AMS after arrival. It is unwise to travel much above 3500m immediately from sea level. Above 3500m, the speed of further height gain should be gradual and we advise no more than a 300m increase in sleeping altitude per day (with a rest day every third day) and spending at least a week above 3500m before sleeping at 5000m. This does not mean you can’t ascend more than 300m in a day (eg. to cross a pass or attempt a summit), as long as you descend again before sleeping. The highest altitude where man lives permanently is about 5500m (18,000ft) but on mountaineering expeditions or a trek, residence for several weeks around 6000m (20,000ft) is quite possible and at these altitudes one should feel entirely well when acclimatised, being limited only by breathlessness on exertion. There is unfortunately no way of predicting whom AMS will seriously trouble and who will escape it. It is tempting to suppose that being physically fit and avoiding smoking would help in prevention but unfortunately, this does not seem to be the case. Similarly, if you have previously been affected (or not), it seems no more or less likely that you will avoid AMS the next time you travel to altitude. Strenuous exercise at altitude, whether or not the subject is fit, makes AMS worse; undue exertion and heavy loads should therefore be avoided until acclimatised. Patients with heart or lung disease or high blood pressure should seek specialist advice before travelling above 4000m. There has been much research on Diamox, a drug used to reduce fluid retention (it makes you urinate). There is no doubt that Diamox is genuinely useful in the prevention of Acute Mountain Sickness if taken for several days before ascent, however it is not without it’s dangers. If people really want to take this as a prophylactic medication, I usually give 125mg Diamox twice daily for 3 days before ascent to 3500m (or more), and for two more days - i.e. five days in all. Exactly how it works is unknown, but its effect on breathing (it makes breathing faster and deeper in sleep) may be more important than its direct effect on the output of urine. Travellers who choose to take Diamox should be aware of its unwanted effects - for all drugs have their dangers. Some people feel nauseated and generally unwell, and tingling of the fingers is quite common. More unusual side effects include flushing, rashes, thirst, drowsiness or undue excitement, and occasional serious allergic reactions - although these cease when the drug is stopped. A test day (or two) of Diamox at sea level well before a trip is sometimes helpful. It should be noted that Diamox is not recommended as a routine drug before any ascent: many mountaineers and trekkers prefer to do without it (I do not usually take it myself). The important point to understand is that it only relieves the symptoms of AMS and will not prevent the condition worsening should a sufferer fail to descend or rest. Thus its routine use to before, or to allow continued or rapid ascent is extremely dangerous, possibly masking warning signs (symptoms) of more serious HAPE and HACE and allowing ascent to a point where subsequent descent is difficult or impossible. Diamox should only be used for the relief of AMS in a controlled fashion, to allow descent and rest - the only cure for AMS. Over the years there have been various attempts to train in a hypoxic environment – other than going high, which is obviously the simplest advice. Recently, a hypoxic tent has been marketed in the US, however we have no information about the efficiency, safety or cost of the system, and would welcome information from anyone who has used it. It is important to emphasise that Acute Mountain Sickness, though unpleasant, is usually a self-limiting condition without serious long-term consequences. Aspirin, Panadol (paracetamol), or Neurofen help the headache, and drugs used for travel sickness such as Avomine (promethazine), Stemetil (prochlorperazine) and Stugeron (cinnarizine) may help the nausea and dizziness. Dexamethasone (a steroid) is also used. Oxygen by mask also helps the symptoms, as does use of a portable altitude compression (PAC) chamber. Personally, I tend to use no drugs (apart from oxygen) unless really necessary because the symptoms usually resolve: the only cure is to rest, become acclimatised to the lack of oxygen and if necessary descend. The most important treatment is not to go higher if one has symptoms and to consider losing altitude if either recovery does not take place within several days - and certainly, if symptoms become steadily worse. In less than 2% of travellers AMS occurs in several serious forms at 4000-5000m and occasionally lower. High Altitude Pulmonary Oedema is one, in which fluid accumulates in the lungs and causes severe illness (which may come on in minutes) recognised by breathlessness and sometimes a bubbling sound in the chest. Early pulmonary oedema should be suspected if breathlessness at rest occurs or if someone has what appears to be a persistent cough or chest infection causing breathlessness. Patients with pulmonary edema are dangerously ill and should be treated as an emergency and evacuated to a lower altitude. Frequently a descent of only 500m is sufficient to improve the situation dramatically. Oxygen by mask is especially helpful, as are PAC chambers, Nifedipine, Diamox and steroid drugs (see below). High Altitude Cerebral Edema is another form of AMS, thankfully also a relative rarity. It is due to fluid collecting within the brain causing the victim to become irrational, drowsy and confused over a period of hours - their walking will become unsteady and double vision, headaches and vomiting may occur. Again, the condition is a serious one and evacuation to low altitudes mandatory. Steroid drugs such as Dexamethasone (Decadron) are used in treatment, in addition to oxygen and/or a PAC chamber. In both these conditions, medical advice is desirable though it may well not be available. Anyone suspected of having pulmonary or cerebral oedema should be evacuated to lower altitude promptly and should certainly not go high again until a doctor has seen them. Complete recovery from both conditions is usual if the casualty is treated early and appropriately. Fluid retention causing swelling of the face, an arm or a leg is sometimes noticed on waking or after a long march - this is peripheral oedema. The condition usually subsides over several days and does not herald pulmonary or cerebral oedema. Haemorrhages into the retina (minute blood blisters in the back of the eye) are known to occur quite commonly around 5000m but very rarely cause any problems, being unnoticed by the subject and visible only to a trained observer with specialist equipment (an ophthalmoscope). Very occasionally, these tiny haemorrhages interfere with vision (causing a "hole in the vision") – if affected descent is advised, and complete recovery is usual though not invariable. Acute Mountain Sickness is a common and minor, though debilitating problem at high altitude. Rarely, it leads to two potentially fatal conditions – High Altitude Pulmonary and Cerebral Oedema (HAPE & HACE) - both of which are medical emergencies. In giving advice about travel to high altitudes it must be stressed that the simple adage of gaining height slowly and descending promptly if one is ill - advice known for generations in all high countries - cannot be bettered. More detailed notes about treatment of all forms of AMS follow. 1. Rest days, relaxation, descent? NOTE: The potential unwanted side effects of the drugs mentioned above (listed above and in sheet 3) should be considered before their use. Prävention von Höhenkrankheit (AMS) Während Klettern und Trekking Damavand Iran durch richtige Akklimatisierung. Prediction; Symptome und Behandlung. Erholung von der Höhenkrankheit. Leichte Wanderung zu fortgeschrittenen Klettertouren 2015. Vorhersage von AMS, Akklimatisierung, hypoxischen Trainings Diamox (Acetazolamide). Die Symptome der Höhenkrankheit (AMS), Behandlung von ams, Sauerstoffmangel. Schwere AMS / High Altitude Cerebral Ödeme, schwere Höhenkrankheit. Damavand Foto. Damavand AMS Prävention, Höhenkrankheit, Klettern Damawand Trekking, richtige Akklimatisierung. Prevention of Acute Mountain Sickness (AMS) During Climbing and Trekking Mount Damavand Iran by Proper Acclimatization. Prediction; symptoms and treatment. Recovery from acute mountain sickness. Easy trekking to advanced climbing tours 2015. Prediction of AMS, acclimatisation, Hypoxic Training Diamox (Acetazolamide). Symptoms of Acute Mountain Sickness (AMS), Treatment of ams, lack of oxygen. Severe AMS/High Altitude Cerebral Oedema, Severe Altitude Illness. Damavand Photo. Damavand AMS Prevention, Acute Mountain Sickness, Climbing Damawand Trekking, Proper Acclimatization. Prevención del Mal Agudo de Montaña (AMS) Durante Escalada y Trekking Monte Damavand Irán por una adecuada aclimatación. Predicción; síntomas y el tratamiento. La recuperación de mal agudo de montaña. Fácil de trekking a los viajes de escalada avanzadas 2015. Predicción de AMS, aclimatación, hipóxico Formación Diamox (acetazolamida). Los síntomas del mal agudo de montaña (AMS), Tratamiento de ams, la falta de oxígeno. Edema cerebral severa AMS / altitud elevada, la enfermedad de altura grave. Foto Damavand. Damavand Prevención AMS, Mal Agudo de Montaña, Escalada Damawand Trekking, una adecuada aclimatación. Prévention de mal aigu des montagnes (AMS) En cours escalade et la randonnée du mont Damavand Iran par une bonne acclimatation. prédiction; symptômes et le traitement. Récupération du mal aigu des montagnes. Trekking facilement à des visites d'escalade avancées 2015. des pronostics de l'AMS, l'acclimatation, hypoxique formation Diamox (acétazolamide). Les symptômes de mal aigu des montagnes (AMS), Traitement du MAM, manque d'oxygène. MAM sévère / œdème cérébral de haute altitude, sévère Altitude maladie. Damavand Photo. Prévention Damavand AMS, mal aigu des montagnes, Escalade Damawand Trekking, une bonne acclimatation. Prevenzione di mal acuto di montagna (AMS) Durante Climbing e Trekking Monte Damavand Iran acclimatazione corretta. Previsione; sintomi e trattamento. Recupero da mal di montagna acuto. Facile trekking scalate avanzate 2015. Pronostico AMS, acclimatazione, Hypoxic Training Diamox (Acetazolamide). I sintomi di mal acuto di montagna (AMS), Trattamento di ams, mancanza di ossigeno. Grave AMS / High Altitude Cerebral Edema, Altitude grave malattia. 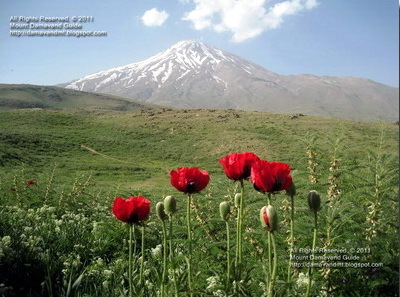 Damavand Foto. Damavand AMS Prevenzione, Acute Mountain Sickness, Arrampicata Damawand Trekking, acclimatazione corretta. Forebygging av akutt høydesyke (AMS) Under Klatring og Trekking Mount Damavand Iran etter Riktig Akklimatisering. prediksjon; symptomer og behandling. Utvinning av akutt høydesyke. Lett trekking til avanserte klatreturer 2015. Tippe av AMS, akklimatisering, hypoksisk Training Diamox (Acetazolamide). Symptomer på akutt høydesyke (AMS), Behandling av ams, mangel på oksygen. Alvorlig AMS / High Altitude Cerebral Ødem, Alvorlig Altitude sykdom. Damavand Photo. Damavand AMS Forebygging, Akutt høydesyke, Klatring Damawand Trekking, Riktig Akklimatisering. Профилактика острой горной болезни (AMS) во время лазания и экскурсии Демавенд Иран путем надлежащего акклиматизации. Прогноз; симптомы и лечение. Восстановление от острой горной болезни. Легко поход к передовым восхождений 2015 Прогнозирование AMS, акклиматизации, гипоксическая тренировка Diamox (Ацетазоламид). Симптомы острой горной болезни (AMS), лечение АВН, недостатка кислорода. Тяжелая AMS / High Altitude церебральный Отеки, Серьёзный Высота болезни. Damavand Фото. Damavand Профилактика AMS, острой горной болезни, Восхождение Damawand треккинг, Правильное акклиматизации. Profilaktika ostroy gornoy bolezni ( AMS ) vo vremya lazaniya i ekskursii Demavend Iran putem nadlezhashchego akklimatizatsii . Prognoz ; simptomy i lecheniye. Vosstanovleniye ot ostroy gornoy bolezni. Legko pokhod k peredovym voskhozhdeniy 2015 Prognozirovaniye AMS , akklimatizatsii , gipoksicheskaya trenirovka Diamox ( Atsetazolamid ) . Simptomy ostroy gornoy bolezni (AMS ), lecheniye AVN, nedostatka kisloroda . Tyazhelaya AMS / High Altitude tserebral'nyy Oteki , Ser'yoznyy Vysota bolezni. Damavand Foto. Damavand Profilaktika AMS , ostroy gornoy bolezni , Voskhozhdeniye Damawand trekking, Pravil'noye akklimatizatsii.